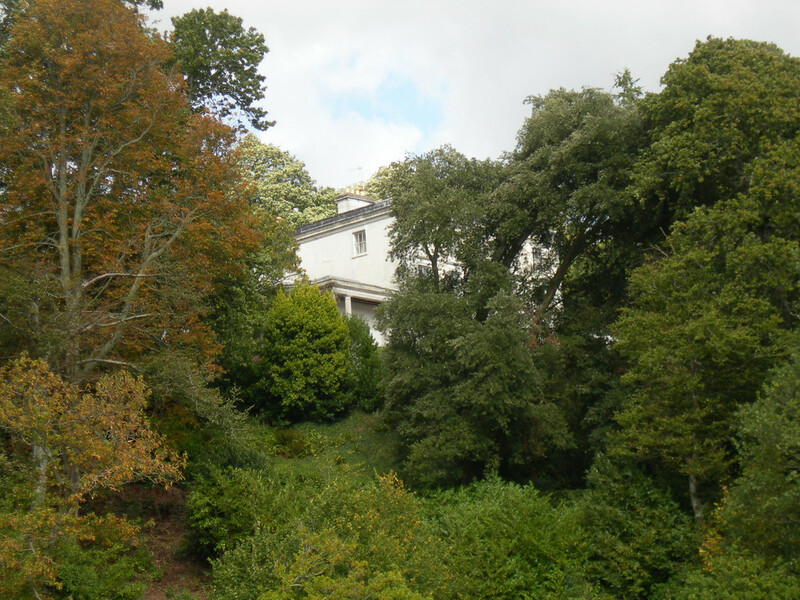 For many years he edited the official Agatha Christie Newsletter and acted as a consultant to the National Trust during the restoration of Greenway House, Dame Agatha’s Devon home. 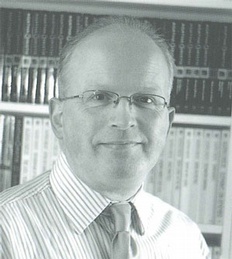 John has been working with her grandson, Mathew Prichard, to establish the Agatha Christie Archive, and is currently writing a doctoral thesis on Agatha Christie at Trinity College, Dublin. 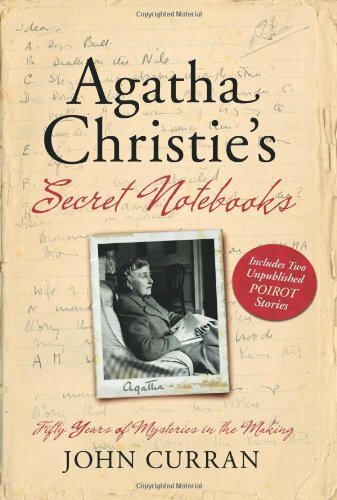 In September 2009 Curran, author of Agatha Christie’s Secret Notebooks, provided the Guardian with s list of his top ten favorite Christie novels. Among them was Five Little Pigs, which he describes as “sublime.” This recommendation made me decide to read the novel. A young woman named Carla Lemarchant comes to Poirot with an unusual request. Sixteen years ago, her mother had stood accused of murdering her father, the famed painter Amyas Crale. Caroline Crale had been convicted of the crime and had narrowly escaped hanging. Even so, she had sickened in prison and died a year later. Carla was only five years of age when the crime that destroyed her family occurred. In its aftermath, she’d been sent to Canada to be raised by relatives living there. Now a grown young woman, she has returned to England in the guise of an avenging angel. She has found the man she wants to marry and have children with. And she wants to set the record of her personal life straight. My mother was innocent, she declares to Poirot. And I want you to prove it. And so she reels in her catch…. Elsa Greer, Amyas’s model, and also his lover. These are the eponymous five little pigs. When Poirot confronts each of them with his questions, a complex skein of emotional entanglements gradually comes to light. There is some inconsistency in the accounts of what happened at Alderbury on that fateful day, but nearly everyone agrees on one point: Caroline Crale deliberately poisoned her husband. 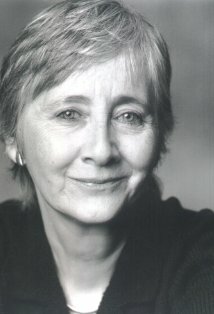 The governess Cecilia Williams is another story altogether. This is the kind of person that sometimes fades to invisibility when the rich and powerful are about the place. When Poirot asks Mr. Fogg to enumerate those present on the day in question, that gentlemn only recalls Cecilia Williams when Poirot prods him to do so: “Wretched people, governesses, one never does remember them,” mumbles the aging barrister. Cecilia Williams, to outward appearances, had no assets of which to boast. Nevertheless, to Poirot’s eye, there was no despondency there and no sense of failure. Miss Williams’s life had been interesting to her–she was still interested in people and events. She had the enormous mental and moral advantage of a strict Victorian upbringing denied to us in these days–she had done her duty in that station of life to which it had pleased God to call her, and that assurance encased her in an armour impregnable to the slings and darts of envy, discontent and regret. She had her memories, her small pleasures, made possible by stringent economies, and sufficient health and vigour to enable her still to be interested in life. I’ve quoted this entire passage because I find it fascinating and because it seems to come so directly from Christie herself. One the one hand, it seems a defense of the class system that was still dominant at the time; on the other hand, it is also a recognition of the courage, dignity, and accomplishments of persons such as Miss Williams. Once Poirot has spoken to all five principals in the drama, he asks that each of them write down their account of the events at Alderbury on that fateful day sixteen years distant. Having had their memories reinvigorated by his questioning, they do so. It is an astute strategy: more is revealed in these written statements than had come to light in the oral interviews. Along with Poirot, we sense that we are approaching the truth, circling it warily, closing in on it. But before we get there, we are sent down many a false path by Christie, the master of misdirection. I kept thinking I knew who the real killer was, yet I always doubted my belief, as it turned out, with good reason, right up to end, when Christie stages yet another of the climactic ensemble piece for which she is so famous. There they all are, gathered together at Handcross Manor at Poirot’s behest: the Blake brothers, Cecilia Williams, Lady Dittisham aka Elsa Greer, Angela Warren, and Carla Lemarchant. 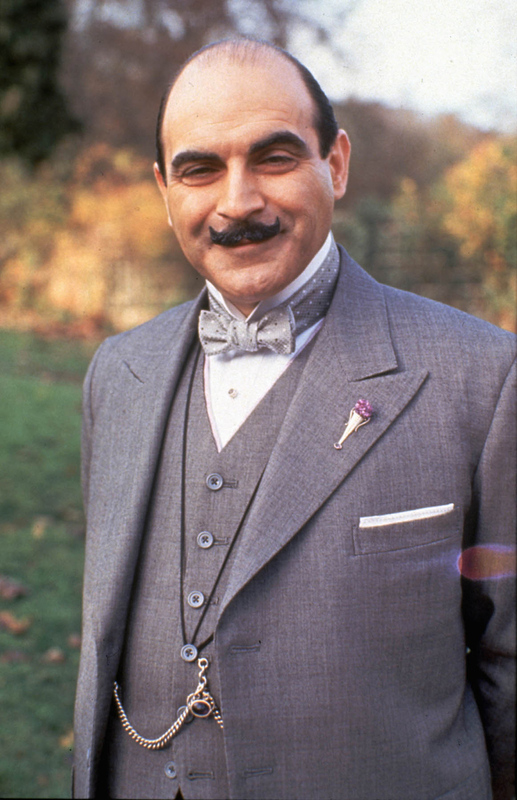 Poirot has much explaining to do, but he does it, relentlessly and with clarity and precision. In the end, there can be no doubt as to who murdered Amyas Crale. 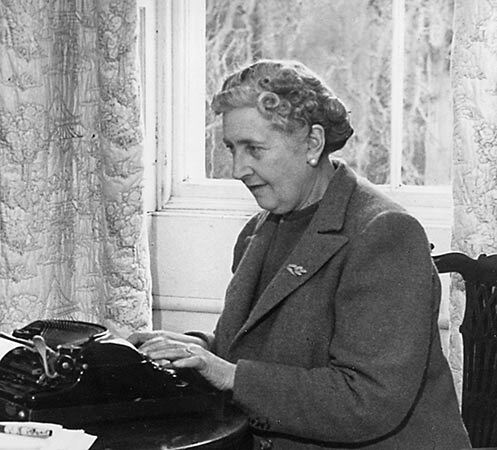 In Agatha Christie’s Secret Notebooks, John Curran informs us that Christie used the grounds of her own home, Greenway, as the model for the fictional Alderbury. I took this picture of Greenway in 2006 as we sailed past the house on the River Dart. At the time it was not yet open to the public. It is now, and we hope to go there next month. The characters are carefully drawn and the tangle of relationships more seriously realised than in any other Christie title. It is a cunning and scrupulously clued formal detective novel, an elegiac love story and a masterly example of story-telling technique with five individual accounts of one devastating event. 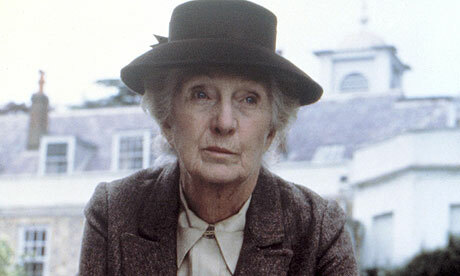 Last year, HarperCollins became the exclusive publisher worldwide of Agatha Christie’s works in the English language. They are issuing attractive trade paperback editions, like the one above. (They also have the rights to the e-book versions. One cannot help wondering what Dame Agatha would have made of this technological innovation. Would she have embraced it gladly? Or would she have shaken her head in disbelief and in Miss Marple-like fashion anxiously exclaimed, “Oh, deah!” ) Click here for a complete list of the books. Greenway’s “the Battery” is right on the river and is a wonderful setting for murder. John told us that “they” want to make a new film of FIVE LITTLE PIGS and actually film it there. You will love it. 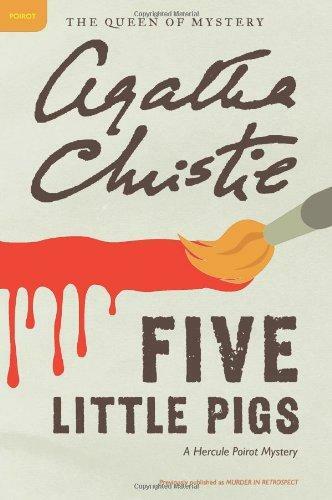 This is a book that I’ve read several times and enjoyed, but differently than I did some of the other Christie books which, perhaps, are a bit ‘easier’ going.. If anyone ever tells me that Christie was a ‘static’ writer I point out this book and several others in which I felt she took a chance by developing the story in a different way. In my view, she was a person writing in a ‘genre’ but still managed to take chances. The more I read about Christie, the more I see how she was viewed by others, the more i develop an ever better understanding of her work, the more I realize what an underrated writer she really was. I first came to this AC novel sideways. I was in a quaint Maine town for the summer and I went to a production of A Murder Remembered (or something like that.) And the play was in fact Five Little Pigs. I later read the novel and it’s not one of my favorites. I just got tired of the structure and the different perspectives. Although, I’ll have to give it another chance someday. I certainly didn’t find it sublime. But checking out Curran’s Top 10 list I found that there are a few novels we don’t really agree on. Including Peril at End House. Since it’s summertime though, I’ll be taking that to the beach and having another go. Carol–LL Bean! That’s funny, I live right near there. So did you tour Greenway? I’d like to check it out someday.